Our floating docks include power, water, and easy boarding. Our friendly dock hands can assist you with anything you need, while our on-site security will protect your vessel while you are away. We have all your needs readily available including a fully-stocked store, fish cleaning stations, and a display board for your catch. We are next door to Caribe Resort and Cobalt restaurant, making us the ideal location for both resort guests and Orange Beach visitors. 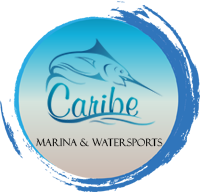 If you are a Caribe Resort guest, our boat slips are available behind your condo!